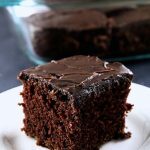 Easy, Easy, Easy One Bowl Chocolate Cake recipe that is mixed in one-bowl and covered in a DELICIOUS FUDGE ICING! The only directions that were given for this cake recipe from a cookbook was to “put all ingredients in bowl and whip for 5 minutes. Bake at 350°F”. That was it! The fudge icing is AMAZING! 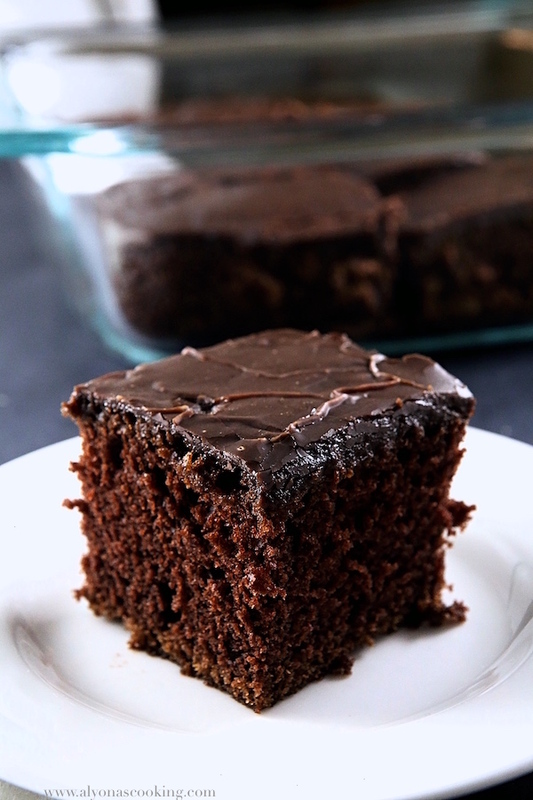 So that is a must-have addition to this One Bowl Chocolate Cake! Substitutions: If you don’t have buttermilk you can sour the milk by adding 2 tbsp of vinegar to the amount required instead (that’s what I did when I made this.) You may also try substituting soft butter for shortening or even vegetable oil. 1. In a large bowl whisk the dry ingredients together and add the wet ingredients; beat for 5 minutes. 2. Pour into a well greased Pyrex 13 x 9-inch baking pan and bake at 350° F for 20-25 minutes or until done. 3. To make icing: place cocoa, sugar, margarine and milk into a medium saucepan. Boil 2 minutes then remove from heat and add vanilla. Cool to desired consistency (about 5-10 minutes) then spread onto cake quickly before it gets too hard. Icing should be smooth and firm when done. 4. Keep cake stored at room temperature. Easy, Easy, Easy Chocolate sheet cake recipe that is mixed in one-bowl and covered in a DELICIOUS FUDGE ICING! In a large bowl whisk the dry ingredients together and add the wet ingredients; beat for 5 minutes. Pour into a well greased Pyrex 13 x 9-inch baking pan and bake at 350° F for 20-25 minutes or until done. To make icing: place cocoa, sugar, margarine and milk into a medium saucepan. Boil 2 minutes then remove from heat and add vanilla. Cool to desired consistency (about 5-10 minutes) then spread onto cake quickly before it gets too hard. Icing should be smooth and firm when done. Keep cake stored at room temperature. Made this cake twice already it was a big hit with the kids, definitely will be making it again. 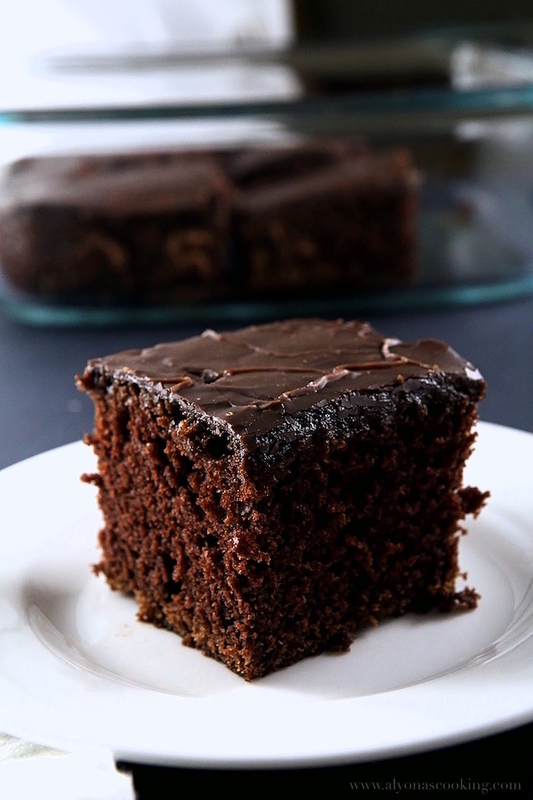 Love the fact that this cake not only super easy to make but also very soft and moist. Thanks again for a great recipe!